The Australian Architecture Association aims to raise $15000 and needs your support. 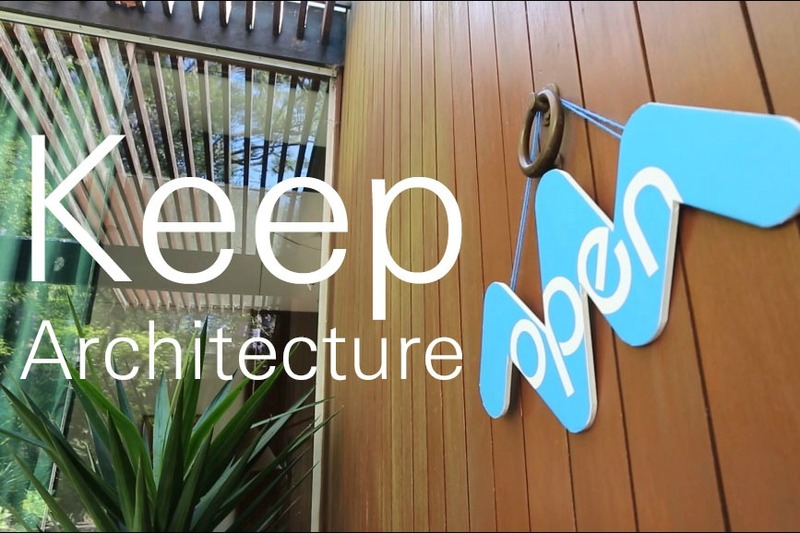 With only three weeks to go you won't want to miss out the great rewards on offer for donating to the Australian Architecture Association's annual 'Keep Architecture Open' operations fund raising campaign. 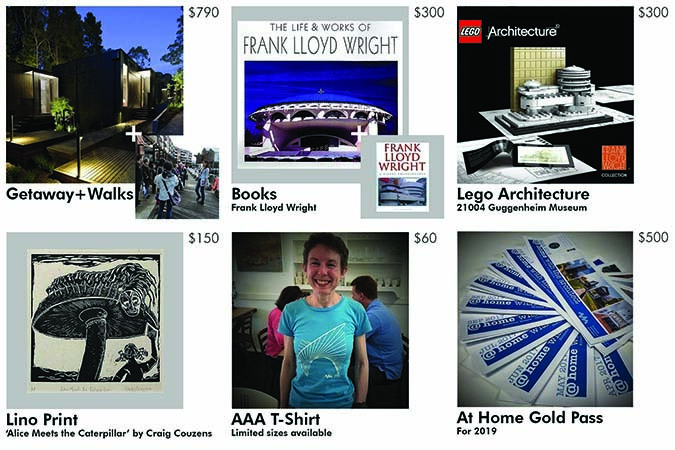 Click here, to visit our donation page and take your pick of rewards, including a weekend getaway, original art works, lego architecture, books, AAA memberships and continuing professional development talks. We are looking to raise $15,000, which will be used to help us continue to deliver and develop our unique program of architectural walks, tours and events. As a not-for-profit organisation we rely on your continuing support to help us provide unique opportunities to learn about architecture and the built environment and keep opening the doors on contemporary design. We aren't just asking you to give away your money! Instead the AAA wants to reward you for your generous donation to our annual appeal. Each week of the campaign we have been adding new treats to tempt you! Don't want to claim a reward? Just want to make a donation? Please follow the link below and donate as little as $20 to our campaign. Don't forget to share this campaign with your friends/colleagues to help spread the word to donate. Written on 07 October 2018 . 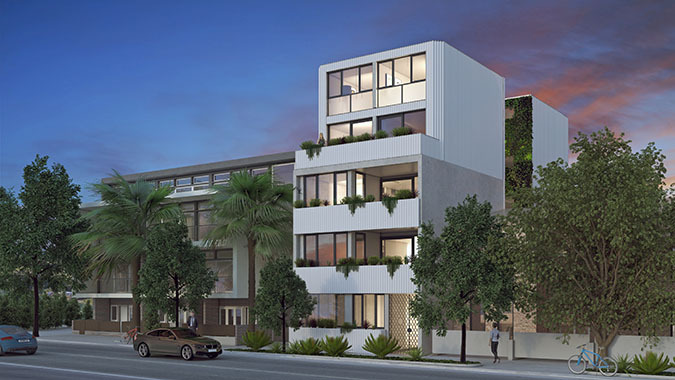 In October, At Home With the Architect visits The Fern, Australia's first Passivhaus certified apartment building. Located in Redfern, the eco-apartments were designed, developed and constructed by Steele Associates. 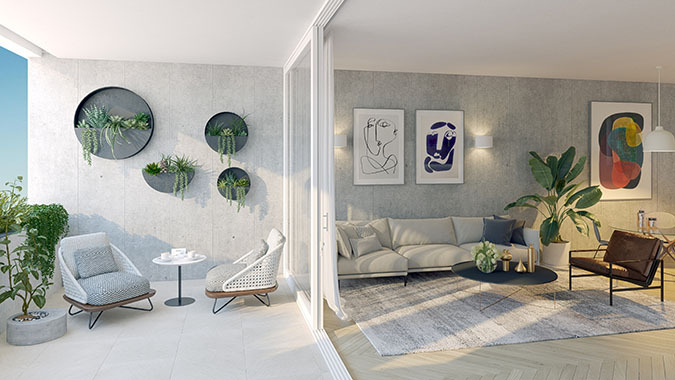 The Fern comprises of eleven - one bedroom apartments that have been designed following the principles of the voluntary Pasive House (Passivhaus) standard for energy efficiency. The tour will be led by architect/builder Oliver Steele, director of Steele Associates. Take this opportunity to ask all the curly questions; how do you cost effectively to create a thermal break in a concrete balcony? What are the practical considerations for Passive House on such a tight inner city site? See the rooftop plant and solar spaces. Steele Associates pushed numerous boundaries on this project, with triple glazing, heat recovery ventilation, waxed concrete walls, and all sorts of other weird and wonderful things, said Oliver Steele. Oliver Steele is both an architect and licenced builder. He established Steele Associates in 1998 and his company is based in Alexandria NSW. The practice specialises in sustainable design, development and construction. Steele Associates has received numerous design and construction industry awards and has been featured in national and international publications. Don't miss your opportunity to experience this green development, numbers are limited. Book your place on the tour, click here.